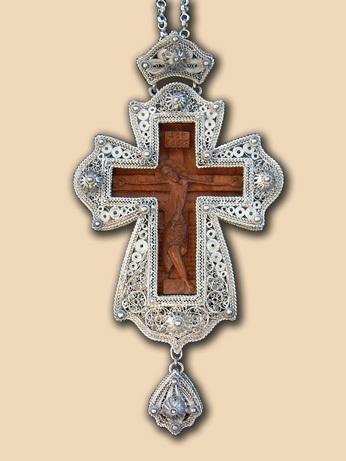 Pectoral cross with miniature wood-carving of crucifixion. 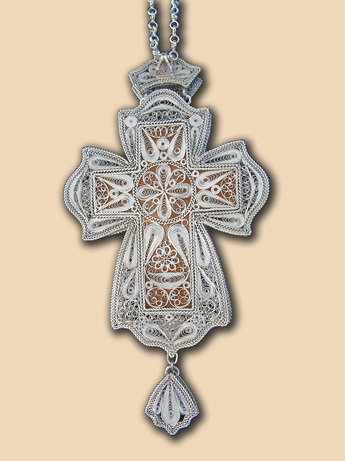 In pair with panagia PN011. Weight: cross 135 gr., chain 50 gr.